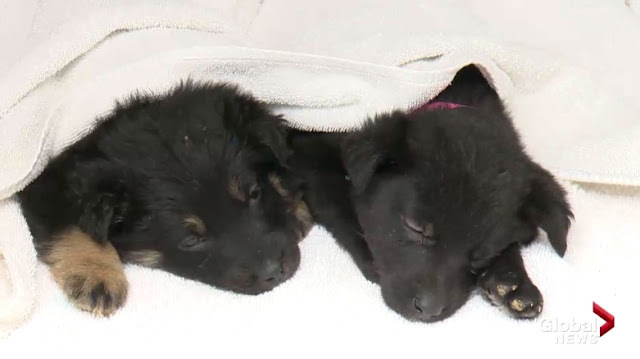 Animal Rescue said many of the puppies were emaciated and badly dehydrated, “struggling to survive by scavenging for food and shelter at the local dump. 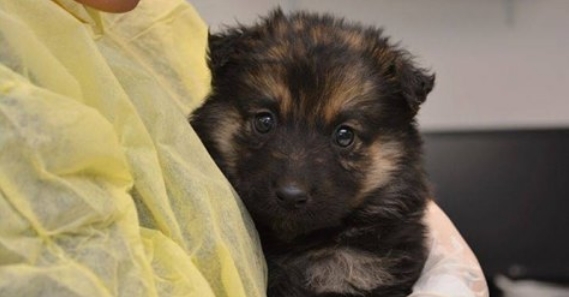 ”We got a call from a lady way up north, about a 10-hour drive, from High Level,” AARCS executive director Deanna Thompson told Global News on Friday. 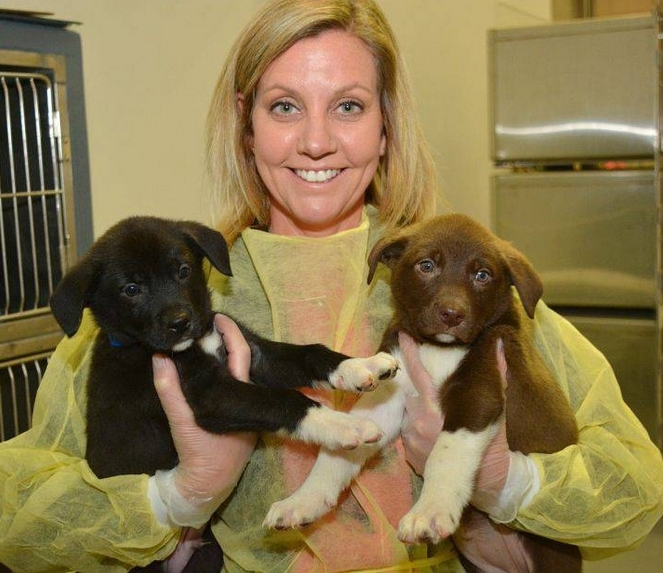 “She works in the community up there and just said that a large number of unspayed female dogs that had littered recently were in need of homes. 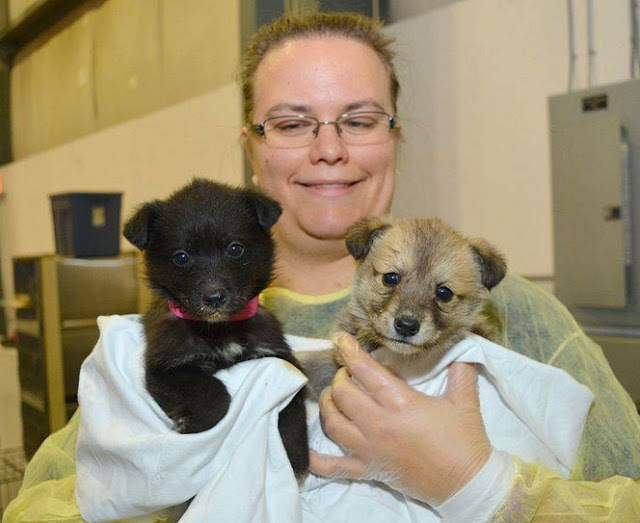 The rescue was carried out with help from Northern Alberta’s New Beginnings Animal Rescue Society. Thompson said some of the puppies were found at the local dump; others were surrendered willingly by owners there. “They wanted us to find them good homes,” Thompson said, explaining a lack of spaying and neutering resources in some communities makes it hard to house the pets. 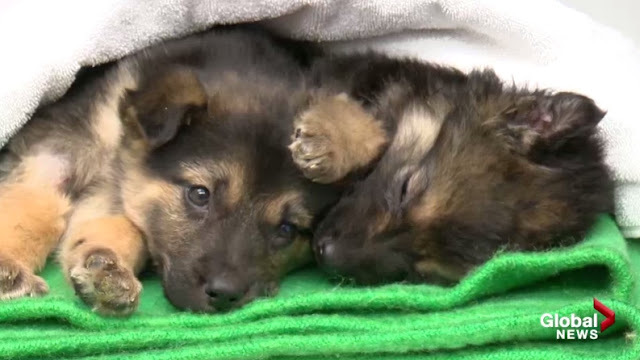 Thompson said the group of animals included a mom and her 11 newborn puppies—the 12th one unfortunately passed away before making it back to the Calgary society. 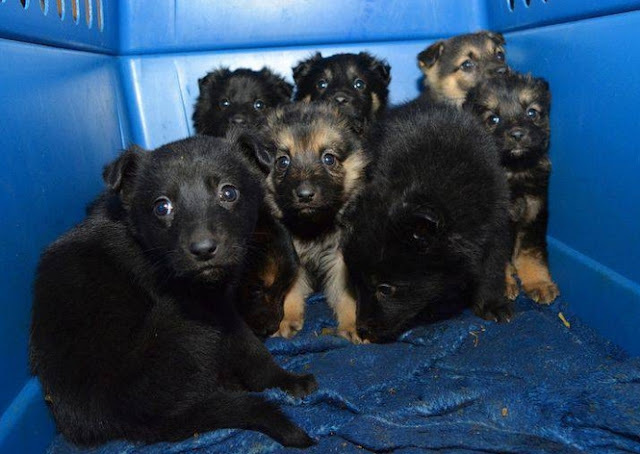 That mother and litter went to a foster home in central Alberta, where they will stay until the puppies are older. 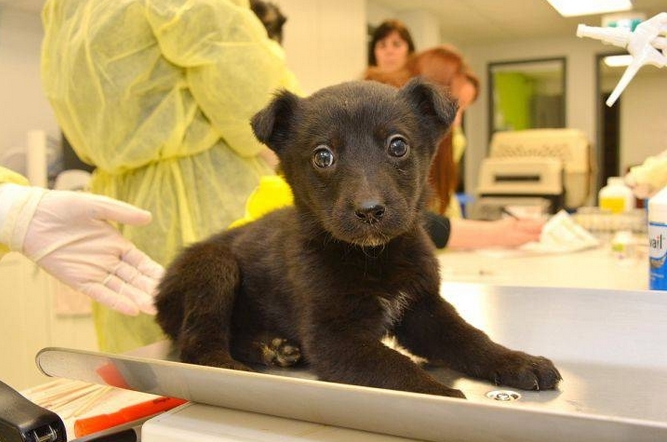 The rest came back to the shelter for examination by vets and were vaccinated and de-wormed by the AARCS medical team. Thompson said they’ll be up for adoption in the next month or so when their health improves. “They’re doing well,” she said. “All will be going to foster homes to gain some weight. They’re all very social, no problems there. 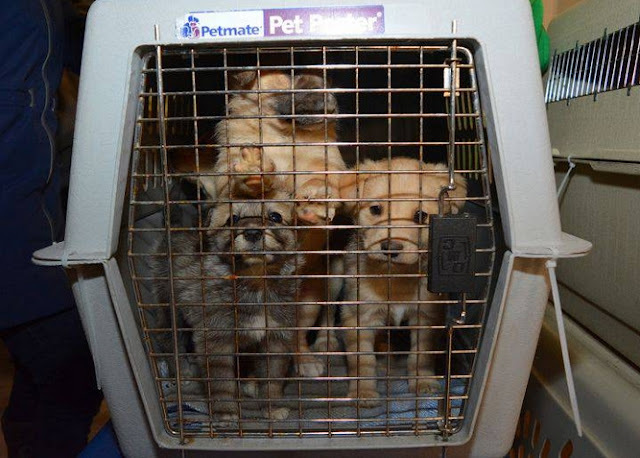 Responses to "48 badly dehydrated and starving puppies rescued from the local dump"
THANK you for saving them. Educate people.